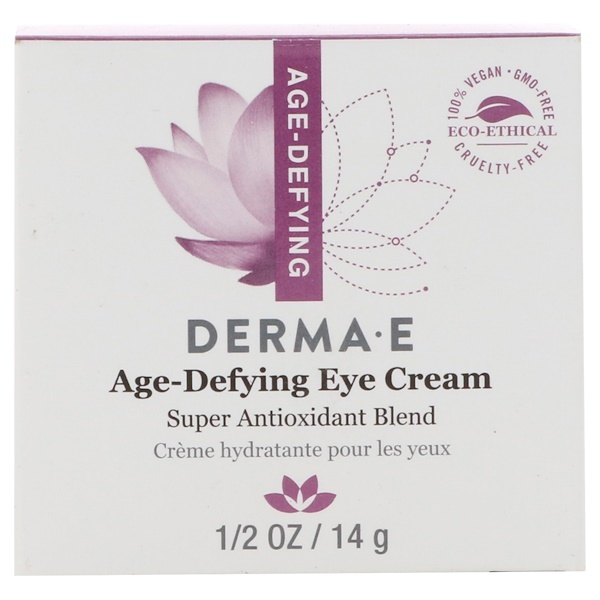 The nourishing eye cream helps to defend your delicate eye area against multiple signs of aging. 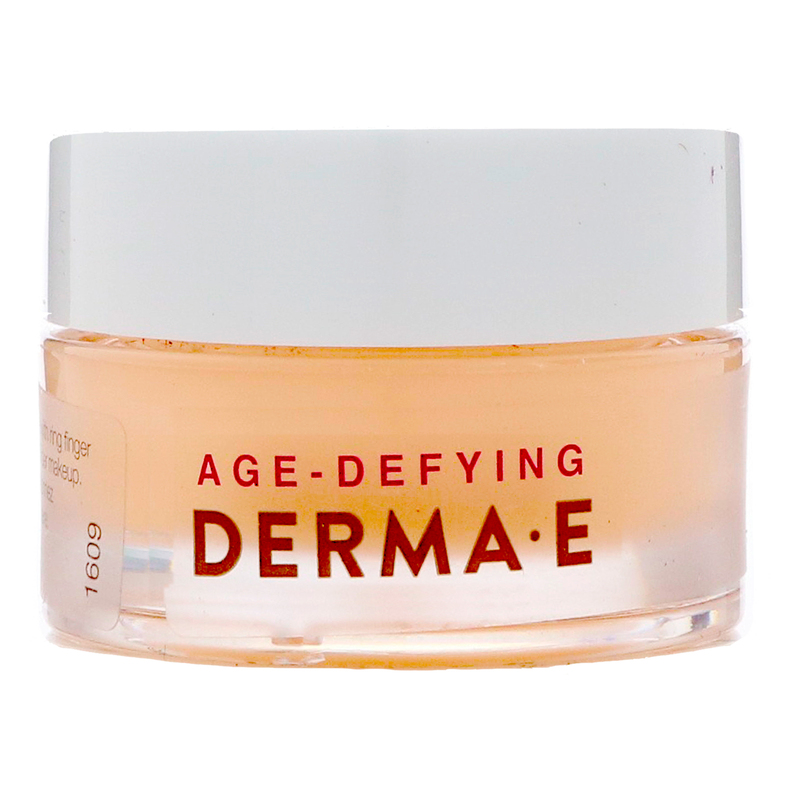 Nutritious and protective antioxidant Pycnogenol and Astaxanthin help to target fine lines, puffiness, dryness and fatigue. Macadamia Seed Oil moisturizes for smooth and revitalized-looking skin. 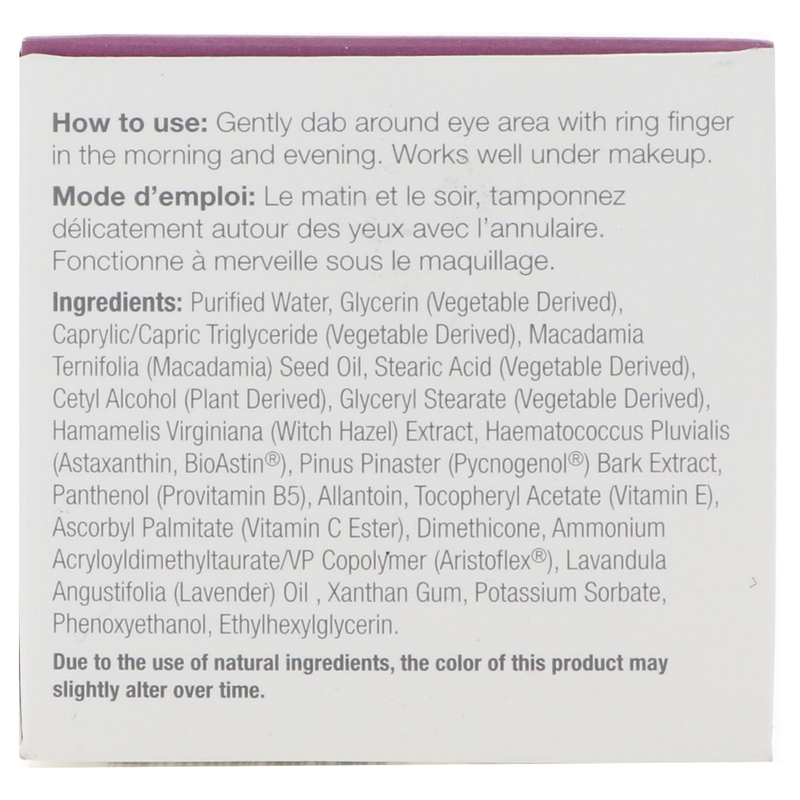 Purified water, glycerin (vegetable derived), caprylic/capric triglyceride (vegetable derived), macadamia ternifolia (macadamia) seed oil, stearic acid (vegetable derived), cetyl alcohol (plant derived), glyceryl stearate (vegetable derived), hamamelis virginiana (witch hazel) extract, haematococcus pluvialis (astaxanthin, bioastin), pinus pinaster (pycnogenol) bark extract, panthenol (provitamin B5), allantoin, tocopheryl acetate (vitamin E), ascorbyl palmitate (vitamin C ester), dimethicone, ammonium acryloyldimethyltaurate/vp copolyer (aristoflex), lavandula angustifolia (lavender) oil, xanthan gum, potassium sorbate, phenoxyethanol, ethylhexylglycerin.